Home Blog Are you ready for Single Touch Payroll? If you haven’t heard about the introduction of Single Touch Payroll (STP) for employers with less than 20 employees, it might be a good idea to keep reading, as this new system represents a big challenge for many small businesses. Sometimes called real-time payroll reporting, STP involves sending tax and super information to the ATO directly from your payroll or accounting software each time you pay your employees. STP has been in place for employers with 20 or more employees since 1 July 2018, but is now being extended to smaller employers. It means every time you run your payroll and pay your employees, salary information such as wages, deductions, allowances and super will be forwarded to the ATO. Although this information will cover your year-to-date payment amounts, when you pay your employees (weekly, fortnightly or monthly) does not need to change. If you already pay your employees using a digital solution like MYOB, Xero, QuickBooks, Etc, moving to STP reporting should be simple, as most software packages now offer STP reporting. 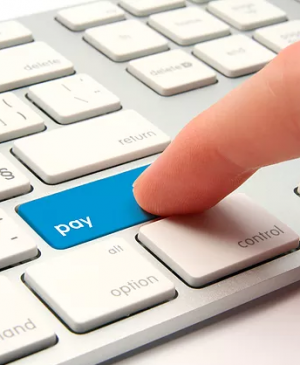 For employers not using digital payroll packages, the ATO has said it will not force businesses to purchase one, but it will be tricky – and time-consuming – to comply if you remain with a manual system. The regulator is encouraging small businesses to recognise the ongoing shift to digital solutions occurring throughout the business world. Micro-employers (four or fewer employees) will be permitted by the ATO to comply with STP reporting quarterly for the first few years but will eventually move to reporting each pay cycle. Before you start reporting through STP, it is essential to review your business’s current payroll processes. This means cleaning up any anomalies in the data and checking the accuracy of employee information such as name, address and date of birth. It’s important to talk to us early about how you plan to comply with the STP requirements and any changes you need to make to existing business processes. With the new requirements applying from 1 July, tax professionals will be very busy, so start planning for the changes as soon as possible. Employers also need to ensure they complete a finalisation declaration at the end of each financial year or your STP information will not be tax-ready. STP information will be pre-filled into the myTax system for employees who prepare their own tax returns, so employers will need to ensure they complete all their paperwork promptly.